I mean, just look at what these cookies are called and tell me how you could possibly resist. There’s no way. And they’re just as delicious as their name suggests. 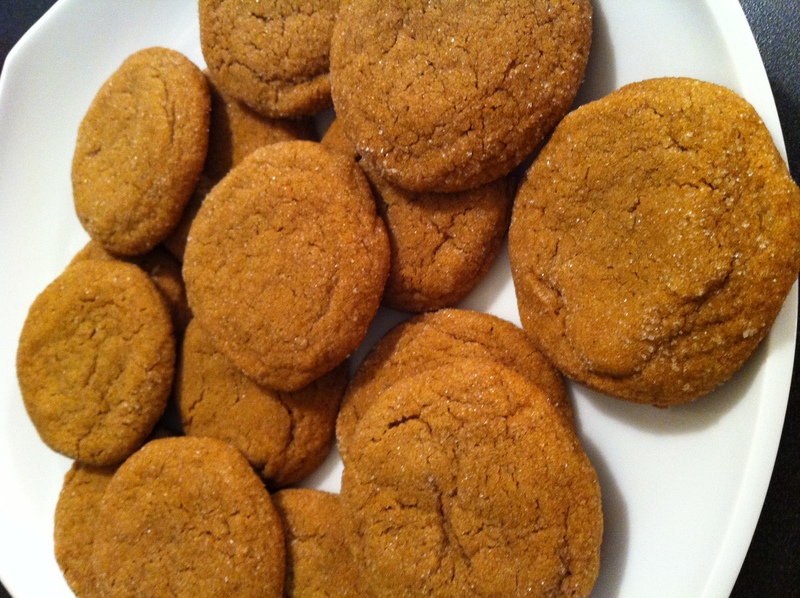 I found this recipe on AllRecipes.com (which I always appreciate thanks to the reliable recipe comments, suggestions, and ratings) while searching for a new cookie recipe. It turned out to be a keeper for sure (as the numerous glowing comments suggested it would), and so I decided to make another batch for a Super Bowl party we’ll be attending tomorrow. 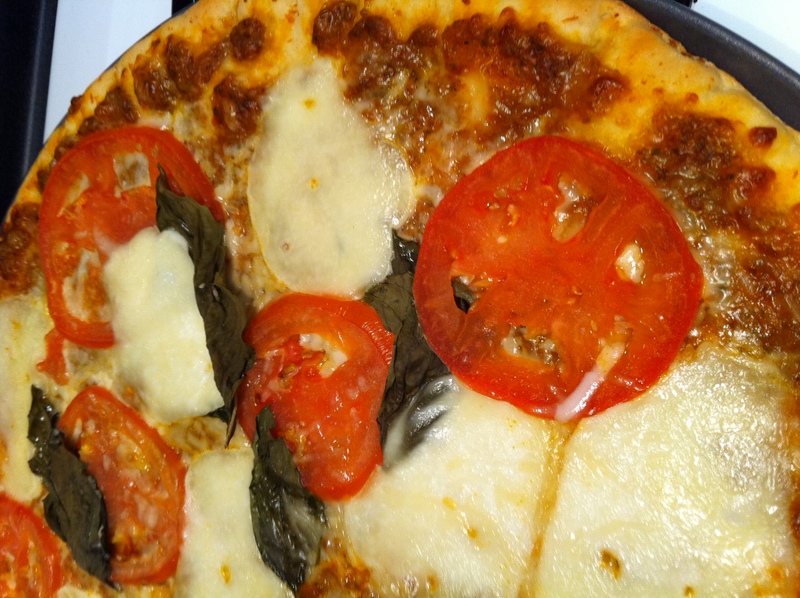 Feeling sustained from the delicious take and bake Costco pizza Kevin picked up this afternoon (YUM! 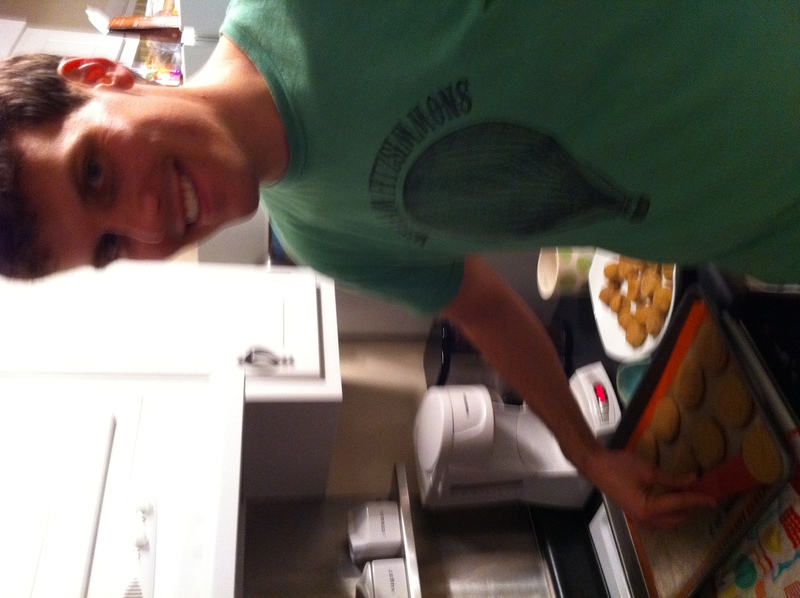 ), it was time to start baking. * I know it’s so much better to let butter sit out at room temperature to soften, rather than using the microwave, but I almost always forget to set it out early enough to let it soften on its own. Sigh. 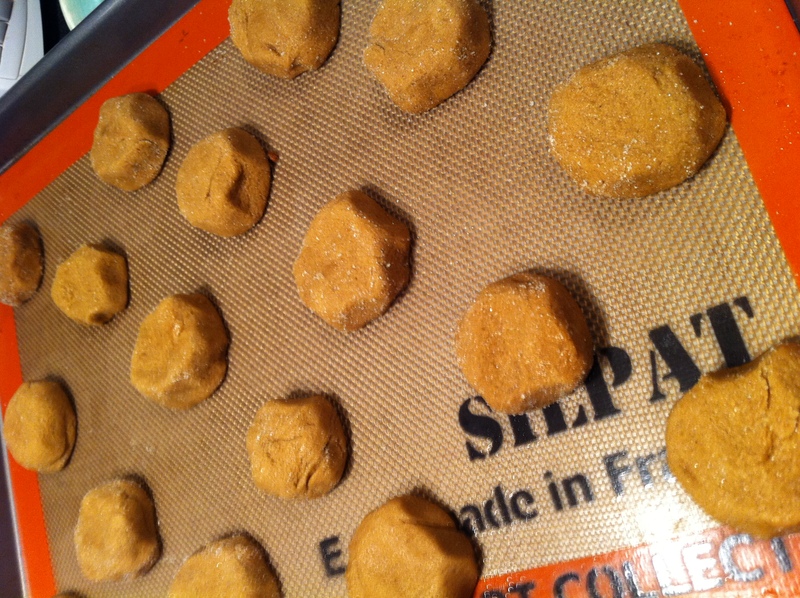 Sift together the flour, baking soda, ginger, cloves, cinnamon, and salt, and set aside. In a large bowl, cream together the butter and 1 cup white sugar until light and fluffy. Beat in the egg, then add the water and molasses. 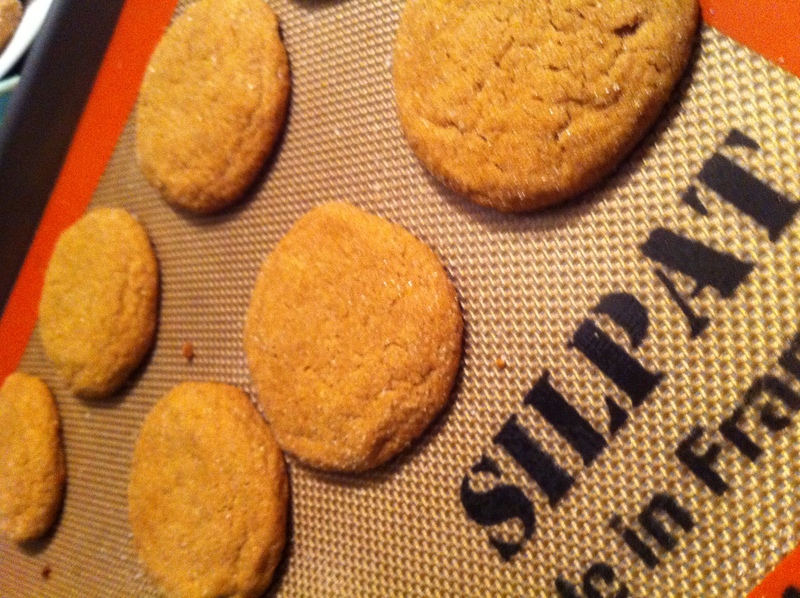 Gradually mix the sifted ingredients into the molasses mixture. 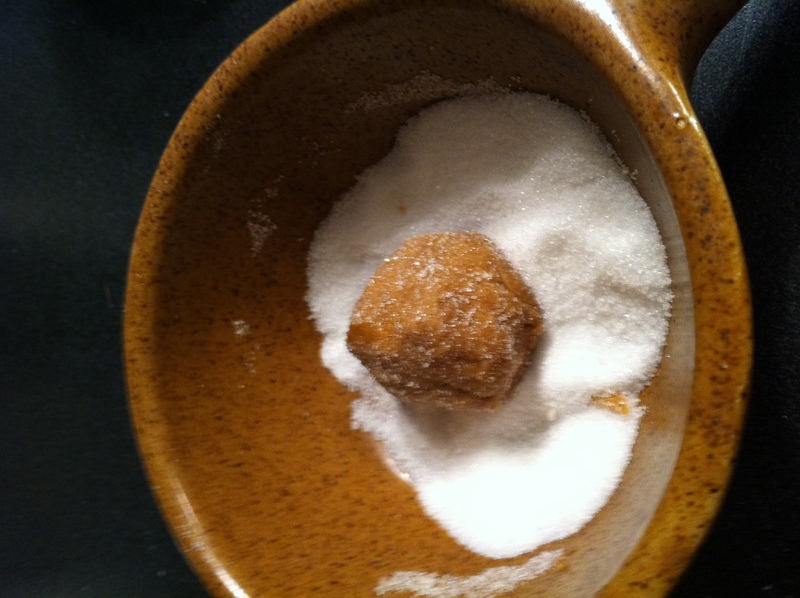 Shape dough into walnut-sized balls and roll in additional 2 tablespoons of white sugar. Bake 7-9 minutes (I like to keep them on the chewy side, so be sure to keep an eye on the oven to be sure the cookies don’t get too baked). 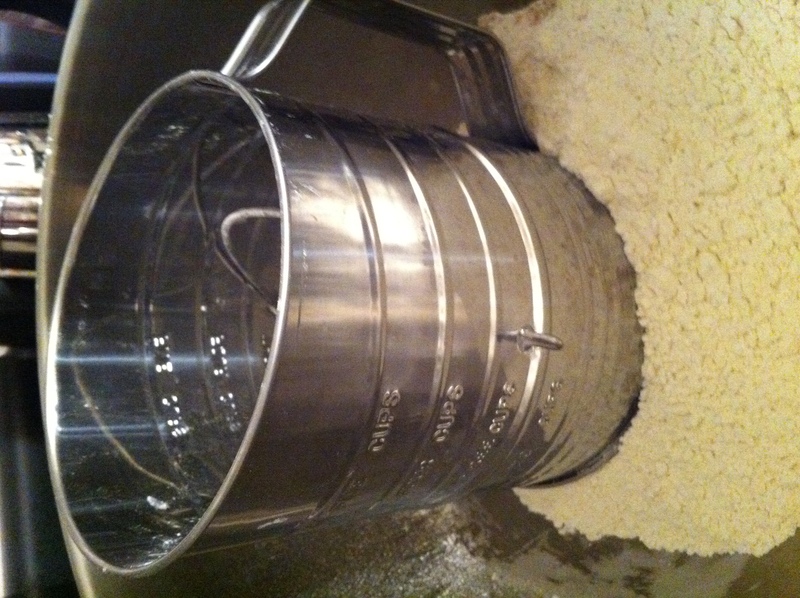 Remove from the oven and cool completely on a wire rack, then store in an airtight container. Yes! That was such a fun Terengganu day. Remembering that makes me miss you, G! Miss you, too, sweet friend. Hope you and Kevin can make it to the wedding this summer. Also, I just started “following” your blog officially, so now I can keep up on all your cooking and writing adventures in NC!